Do you want to update One Plus 2 to android lineage Os?Then you are at the right place.Today in this guide we will teach you How To Update One Plus 2 To Android Lineage OS.So without wasting any of your time lets go further and teach you How To Update One Plus 2 android Lineage OS. As of 23 December 2016 Cyanogen announces closure of it services and to replace Cyanogen Os a new project was launched just few hour later with a name Lineage OS. One Plus 2 was launched in August,2015 and it is a successor of One Plus One. Before we go further and teach you How To Update One Plus 2 To Android Lineage Os lets have a look at its specification. One Plus 2 comes with 5.5inch touch screen with 73.3% screen to body ratio. One Plus 2 comes with 1080x1920 screen resolution. One Plus 2 also comes with Qual-Comm Snapdragon 810 chipset and Octa-Core processor. One Plus 2 comes with 16/64Gb internal memory and 3/4GB RAM. One Plus 2 comes with 13Mp primary camera and 5Mp secondary camera. One Plus 2 is powered with 3300mAH battery. As of now Cyanogen ROM will not get any official update and this is one of the main reason you should install Lineage OS on your OnePlus 2.Lineage Os is much more better then cyanogen. As all the Cyanogen services will be suspended from 1 January 2017 and now you have to install android lineage OS on your One Plus 2 no worries because installing Lineage OS on One Plus 2 is really easy and you just need to follow some easy steps to install Lineage OS on your device. Make sure your device is at-least 70% charged. Unlock Boot loader and install TWRP recovery on your device. 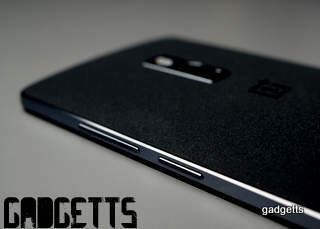 First download Lineage Os ROM for OnePlus 2 from the official website FROM HERE. Make sure you have downloaded Lineage OS ROM on computer. Now transfer the Lineage OS from Computer to your device. Now disconnect your OnePlus 2 from PC. Choose the Lineage OS ROM you have installed earlier. Now Enjoy Lineage Os Nougat 7.1.1 on your OnePlus 2. So this was our guide on How To Update One Plus 2 To Android 7.0 Nougat.We hope you liked our post on How To Update One Plus 2 To Android 7.0 Nougat.